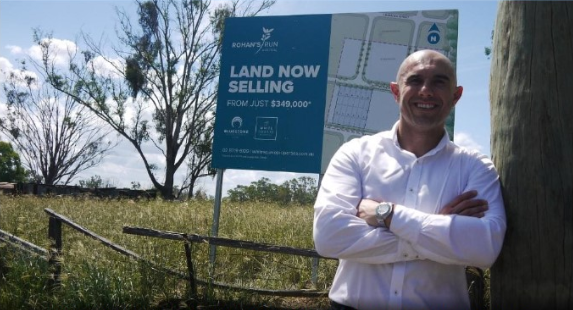 Major infrastructure investment in the South West has driven White Square Properties to launch 42 new home and land packages in Austral. Stage one was launched early July will all 18 homes selling very quickly. Stage two has been released and comprises 22 home and land packages with prices starting from $569,900. The state government has committed to invest over $3.6 billion in its Western Sydney Infrastructure Plan over a 10 year period. This plan includes investment in education, health, transport (bus and rail) and community infrastructure. John Castellano, Sales and Marketing Manager for White Square Properties said, “The South West is a significant growth hub that is attracting major funding from the government. Competition from developers in the area is fierce. We are bringing affordably priced product onto the market to capture a broad range of purchasers from first home buyers to upgraders and investors. All homes are packaged in conjunction with well-known builder Elderton Homes and offer a mix of three and four bed homes comprising single and double storey with frontages up to 14 metres. A selection of open plan living designs with contemporary facades and inclusions are available. Features include alfresco dining spaces, European appliances, walk in pantry and an ensuite to the main bedroom. The land parcel and homes located on Tenth Avenue are within 450 metres from Austral Shopping Centre and Austral Public School. Home and land lot sizes range from 322 sq m to 560 sq m. The price for packages start at $569,900 up to $768,746. Free front landscaping is also included subject to availability. White Square Properties’ home and land packages are also located approximately 3 kilometres from Leppington Train Station, 900 metres from the new Catholic School opening in 2017, six kilometres to the M7 motorway and 14.2 kilometres from Liverpool. Sydney’s CBD is a 53 kilometre commute. The land is being developed by Clearstate Property, a local developer focused on creating sustainable communities for the next generation.